We use the revolutionary PICOSURE laser machine. It's the world’s first picosecond laser and the only advanced tattoo removal laser with PressureWave technology. This is currently the most advanced laser treatment available for safe and effective tattoo removal. Traditional lasers (like the Q-Switched) use heat to break down tattoo ink. Instead of building up heat, the PICOSURE delivers energy so rapidly (in trillionths of a second) that the tiny particles that make up tattoo ink vibrate and shatter, without burning surrounding tissue. Less heat means less tissue damage and discomfort. PicoSure works on all colours, including difficult ink colours, such as blues and greens, as well as previously treated tattoos. Fewer treatments, faster recovery time and impressive results (​You will typically require twices as Q-Switched laser treatments). 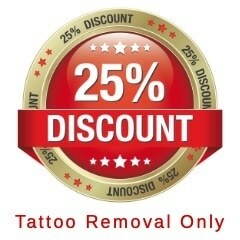 ​We will try our very best ​to BEAT any like-for-like ​Tattoo Removal Quotation! Please note, our technicians are highly trained ex-NHS specialists and cheaper Q-Switched lasers are no where near as efficient at breaking down tattoo ink as the PicoSure's pressure wave technology. 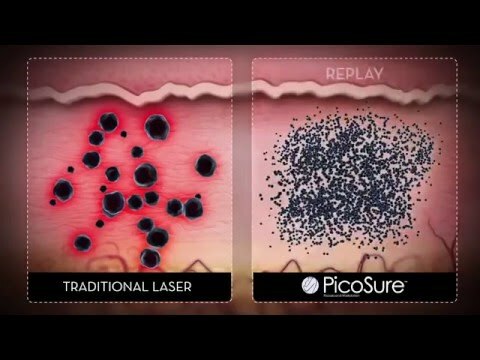 View the video below to see the PicoSure laser machine in action! The CynoSure PicoSure is a state-of-the-art laser with unparalleled speed and treatment performance. It's manufactured in the USA and is FDA approved. Why doesn't every tattoo removal service use it? Simply because it's very costly and there are many considerably cheaper machines available. However, with a low cost machine you will need on average twice as many treatments spread out over the space of a year or more. Progress can be so slow that many people give up believing laser treatments do not work. Furthermore, a lot of cheaper lasers cannot treat all ink colours. The PicoSure is effective on all colours except white ink. There is simply no better laser for tattoo removal. See what the NHS have to say about tattoo removal services. All our treatments are carried out by very experienced, fully insured, Medical Professionals. We offer a FREE no obligation initial consultation and skin patch using the PicoSure laser machine. Medical grade aftercare, including impregnated gauze bandages, and care instructions provided after each treatment. 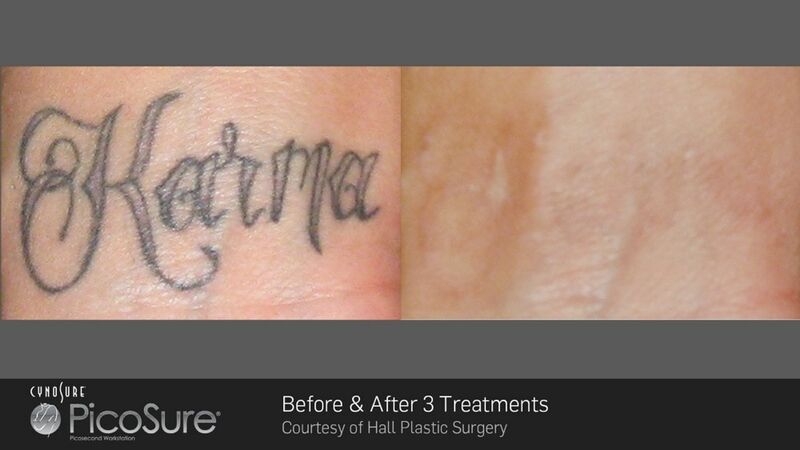 We would urge anyone considering tattoo removal to come in and see our PicoSure laser machine and learn more about the process. There is no hard sell and you are under no obligation to use our services. Book a FREE consultation.